The blazing sun is really very merciless now in Singapore, with temperatures reaching up to 30-32C. Despite that me and Yukie decided to team up together for a White Hot pair shoot. This was the first time that I have shot together with someone else and I have to say that it's so much fun! Both me and Yukie were so excited when we saw the end product turn out so brilliantly, so much so that it almost looked like a campaign shoot. 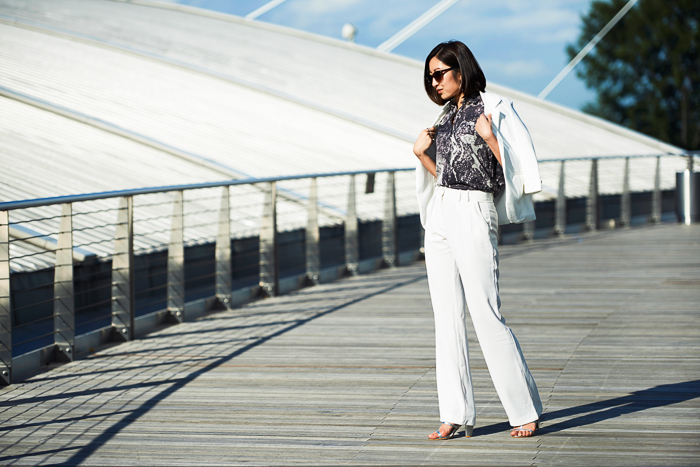 I love this pair of wide-leg pants from Mango to bits as it is so comfortable. It sits midwaist and makes my legs look really long as a result. 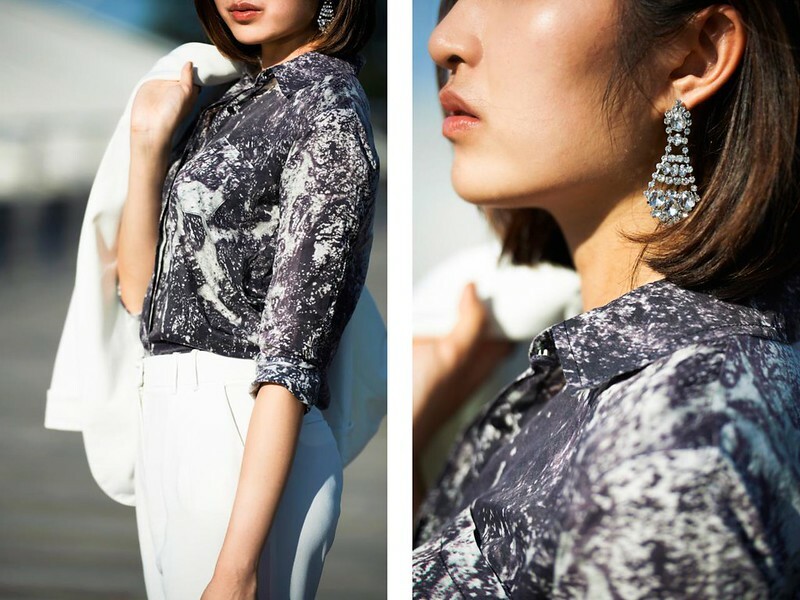 I paired this with my white boyfriend blazer from Sheinside to put together a suit look and offset it with this beautiful print shirt from Nikicio which I acquired a few years back from Nina Nikicio when I was in Jakarta. This print is still one of my absolute favourites in my wardrobe and it was actually taken from a photograph by one of Nina's friends, which subsequently inspired a whole collection built around it. I suppose this look would be an appropriate homage to June, which I spent reading, writing and traveling. With that, goodbye June and hello July as I work really really hard for the second half of 2014!